Zachary Quinto Talks Coming Out: "It Was My Time"
Star Trek star Zachary Quinto had been evasive about his sexuality in the past, but in an interview with New York magazine, the actor opened up. 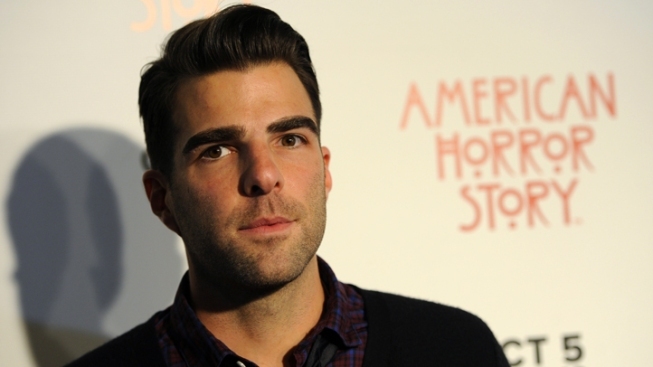 Zachary Quinto came forward over the weekend finally confirming to the world that he is gay, but does the "Star Trek" and "Margin Call" star think other closeted Hollywood actors should follow suit? "I just felt like it was my time. It was a week of declarations for me. I'm declaring that I'm gay. I'm declaring that I want to be a serious contributor to the dialogues that are happening in the world right now, and the way that I can do that is creatively," the 34-year-old told Access Hollywood at the "Margin Call" premiere, a film he also produced. "I'm releasing this movie that I'm enormously proud of, and it's a time of real celebration for me," he continued. The actor/producer wasn't the only one in the public eye feeling celebratory. ABC News anchor Dan Kloeffler was inspired by Zachary's admission and come out on Monday during a live broadcast. But does Zach think other Hollywood stars should also throw open that closet door? "Other actors are not my concern, and that's their life and that's their journey. Everybody has to get to a point in their own time and their own way," he told Access. "The thing that I'm most proud of in this whole situation is exactly how I did this. It was on my terms, in my own words, and I'm really grateful for that." "Margin Call," with Demi Moore, Penn Badgley and Kevin Spacey, opens on October 21.